The Andover SEPAC invites you to join them Wednesday, February 6 at 7:00pm at an exciting presentation, Build a Better Brain, by two nationally-known child psychiatrists. Focusing on the proactive steps families can take to cultivate effective mood regulation, executive functioning skills and positive mental health with their children, this approach addresses parenting practices, school preparation, and even diet and exercise associated with positive mental health. With the focus on maximizing good parenting and self-care practices for all children, this presentation is one that is appropriate for all parents. 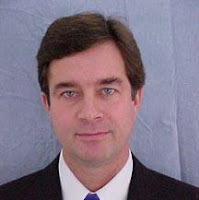 Jeff Q. Bostic, M.D., Ed.D. is a nationally-known expert on child psychiatry and schools. He has consulted in the Andover Public Schools for the past fourteen years, as well as in other school districts around the country. Dr. Bostic is Director of School Psychiatry for Massachusetts General Hospital, an Associate Professor of Psychiatry for Harvard Medical School, and is the Medical Director for the Massachusetts Child Psychiatry Access Project. In collaboration with the Mood and Anxiety Disorders Institute at MGH, Dr. Bostic helped to launch a free website (www.schoolpsychiatry.org) to assist families, educators, and clinicians with mental health issues in the school environment. Mona Potter, M.D., is a child psychiatrist who works in multiple school districts, including the Andover Public Schools, to address the "fit" between children and schools. She graduated from and remains on staff at MGH/McLean Hospitals, and is the Director of the Acute Residential Treatment program at McLean for adolescents.